SWW2019 : Where Users and Providers Meet! 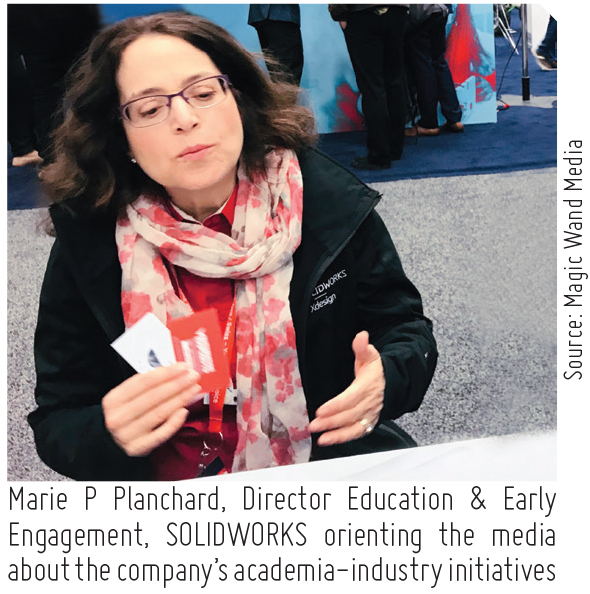 Alike all its predecessors, this year’s SOLIDWORKS WORLD (SWW) also witnessed a huge convergence of enthusiastic user and community members at Kay Bailey Hutchison Convention Center in Dallas, Texas from February 10 – 13, 2019. 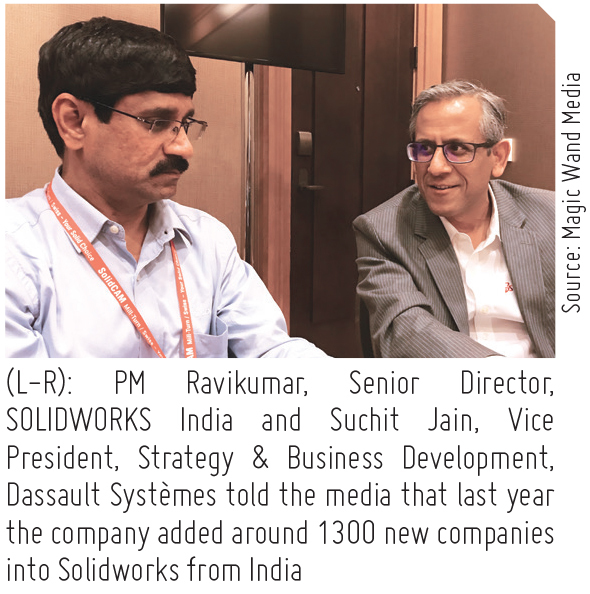 Themed around ‘Where Possibility Takes Form’, SWW 2019 housed around 6,000 attendees from far-fetched corners of the globe. 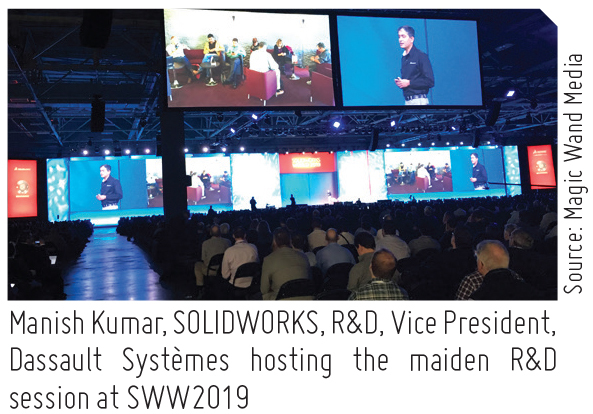 SWW 2019 kicked off on a thunderous applaud from the audience at the entry of Gian Paolo Bassi, CEO, SOLIDWORKS, Dassault Systèmes on the stage. Sharing his thoughts on how rather than focusing on tools and features, the company is looking at the bigger picture such as knowledge and know-how, he introduced 3DEXPERIENCE.WORKS, which is designed to extend the ease of use and reach of SOLIDWORKS. 3DEXPERIENCE.Works brings the power of the Dassault Systèmes 3DEXPERIENCE Platform to SOLIDWORKS users with additional resources and capabilities. With the introduction of 3DEXPERIENCE.WORKS, Dassault Systèmes announced the tying together of planning (ENOVIA), design (SOLIDWORKS), simulation (SIMULIA), and manufacture (DELMIA) through the Dassault Systèmes software portfolio. Taking the center stage, Bernard Charlès, Vice Chairman of the Board and CEO, Dassault Systèmes, emphasized, “3DEXPERIENCE.WORKS will make you story makers. The story will be the experience.” Quoting success stories from myriad sectors across the world, he cited the example of Jaipur, Rajasthan where the government is deploying the 3DEXPERIENCE to better the infrastructure of the city under the Jaipur 3D City Project. “We provide business and people with 3DEXPERIENCE Universe to imagine sustainable innovations capable of harmonizing nature, product and life. Our aim is to connect all the dots to deliver best solutions for your clients,” he further added. 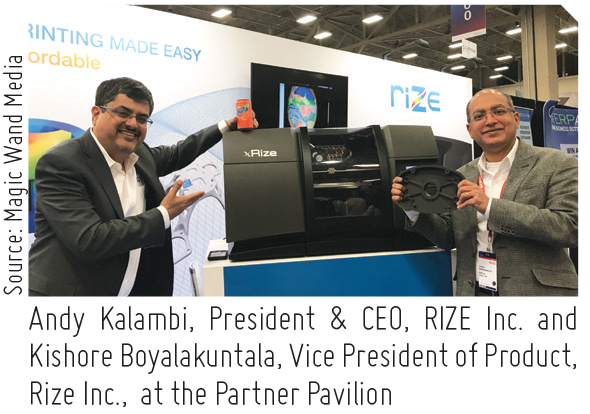 RIZE Inc., an additive manufacturing company, announced its strategic business partnership through an investment by Dassault Systèmes and SOLIDWORKS. This investment is part of a bigger Series B round of funding that raised $15 million for RIZE. With the partnership, SOLIDWORKS and RIZE will work together to explore integrating SOLIDWORKS software and RIZE printers. With its production of zero harmful emissions, using relatively safe, recyclable materials and with minimal pre - and post - processing, RIZE is hoping its Augmented Polymer Deposition (APD) process will drive adoption and sustainably among its users. Both companies jointly stated that one of the goals of their partnership was to make additive manufacturing more inclusive. “Design for additive manufacturing is one of our priorities, and to get it right, you need the rich set of applications from generative methodologies, material science and advanced simulation available on the 3DEXPERIENCE Platform,” said Bassi. There was a participation of significant 3D printing companies in the Partner Pavilion. Additive Manufacturing surely was the thing as there were 3D printer manufacturers such as 3D Systems, BigRep, Desktop Metal, Formlabs, MakerBot, Markforged, Rize, Sindoh, Stratasys, and Ultimaker to service providers like Forecast 3D, Protolabs spread in the floor. The Partner Pavilion also included a gaming lounge, fablab setup, shop floor, design booths for challenges, and several hands-on technologies. For the first time, the Partner Pavilion featured an exclusive Education Zone Product Showcase providing a sneak peek into the future of 3D design. 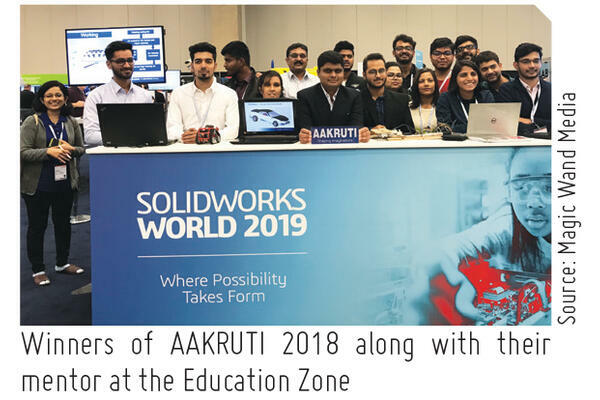 This area sported a variety of versatile products designed in SOLIDWORKS by students from engineering colleges across the world. From India, there was an impressive student representation from academic institutions such as Shri Guru Gobind Singhji Institute of Engineering and Technology, Nanded, that also bagged the first position in AAKRUTI 2018 design contest; Vishwakarma Institute of Technology, Pune; National Institute of Technology, Raipur; Poornima College of Engineering, Jaipur; Pune Vidyarthi Griha’s College of Engineering and Technology; Indian Institute of Technology, Kharagpur; Bannari Amman Institute of Technology, Sathmangalam; and SRM Institute of Science and Technology, Chennai. There is a lot slated to appear in the next edition of the event too. Stay tuned to be in the know. The next year, SOLIDWORKS WORLD will be held from February 9 – 12, 2020 at Nashville, Tennessee, and will be reincarnated as 3D EXPERIENCE World.